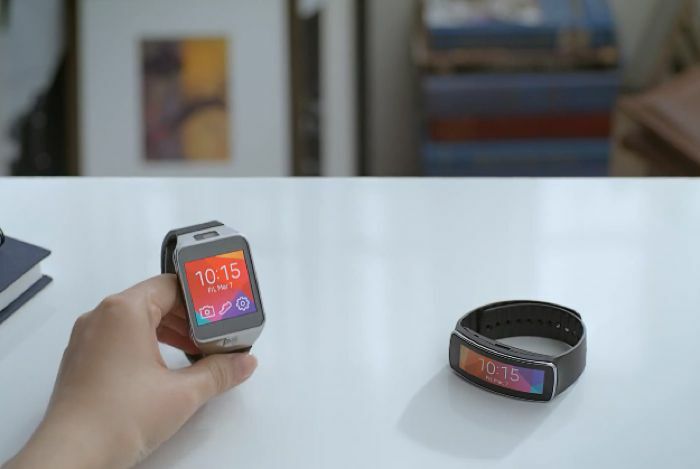 As well as releasing a hands on video for the new Samsung Galaxy S5, Samsung has also released a hands on video for its latest wearable gadgets, the Samsung Gear 2 and the Gear Fit. The video below gives us a good look at these two new wearable gadgets from Samsung, and shows us some of the features of the Samsung Gear Fit and the Samsung Gear 2. The Samsung Gear Fit comes with a 1.84 inch curved Super AMOLED display, the device also feature Bluetooth 4.0 LE and is designed to be both dust and waterproof to IP67 standards. The device comes with a number of sensors, which include a hear rate monitor, an accelerometer and a gyroscope, it is designed to be used for sports and fitness. The Samsung Gear to features a metal body and a 1.63 inch Super AMOLED display, it is also certified to dust and water resistance to IP67 standards. This wearable gadget also come with a hear rate sensor, a gyroscope, an accelerometer, and an IrLED, it features Bluetooth 4.0 LE and a 2.0 megapixel auto focus camera.